come with a luke's landspeeder. 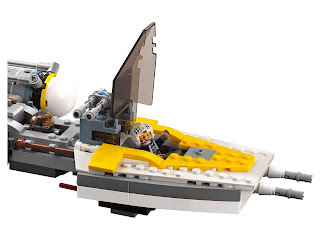 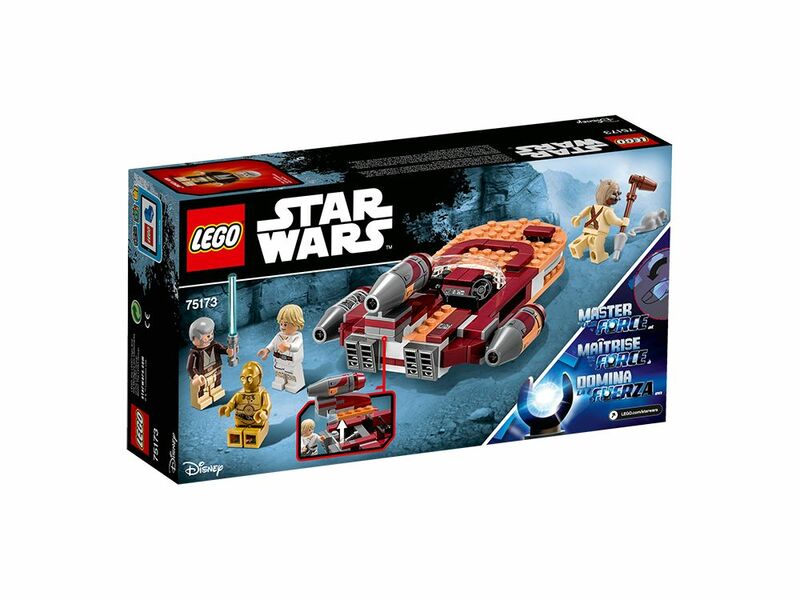 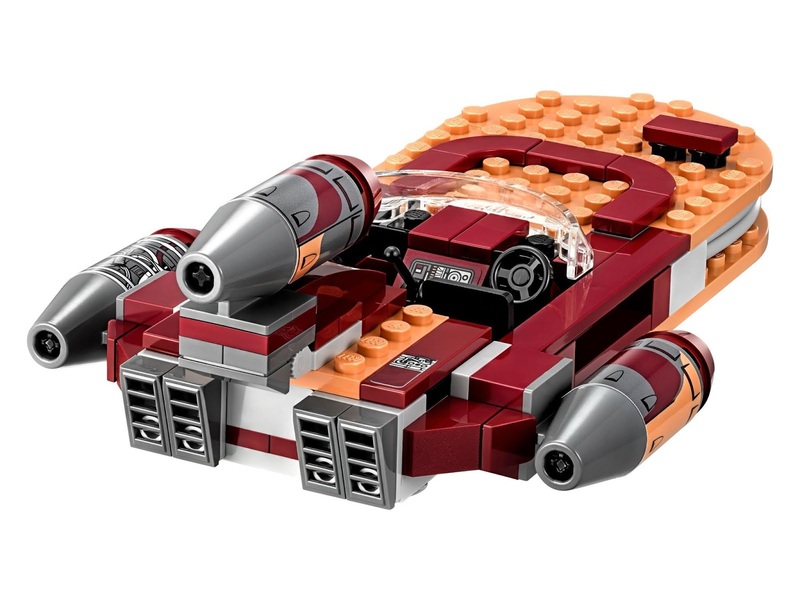 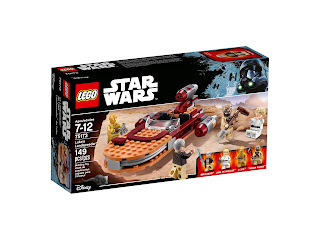 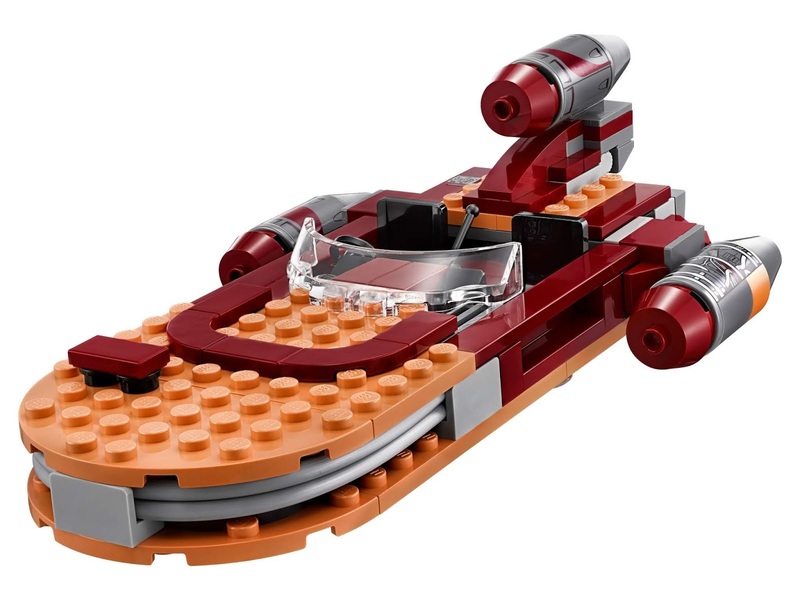 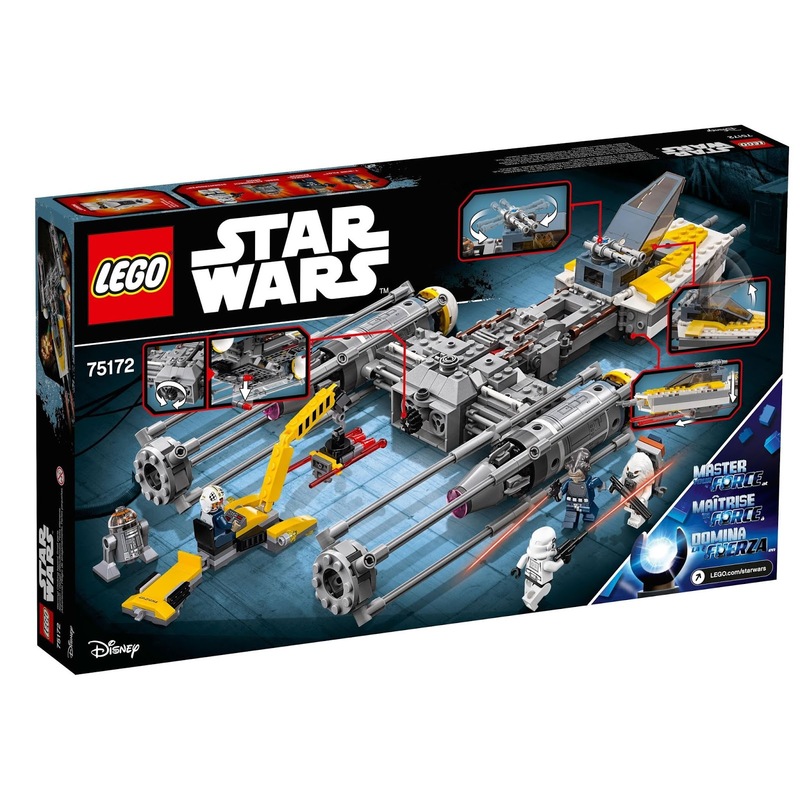 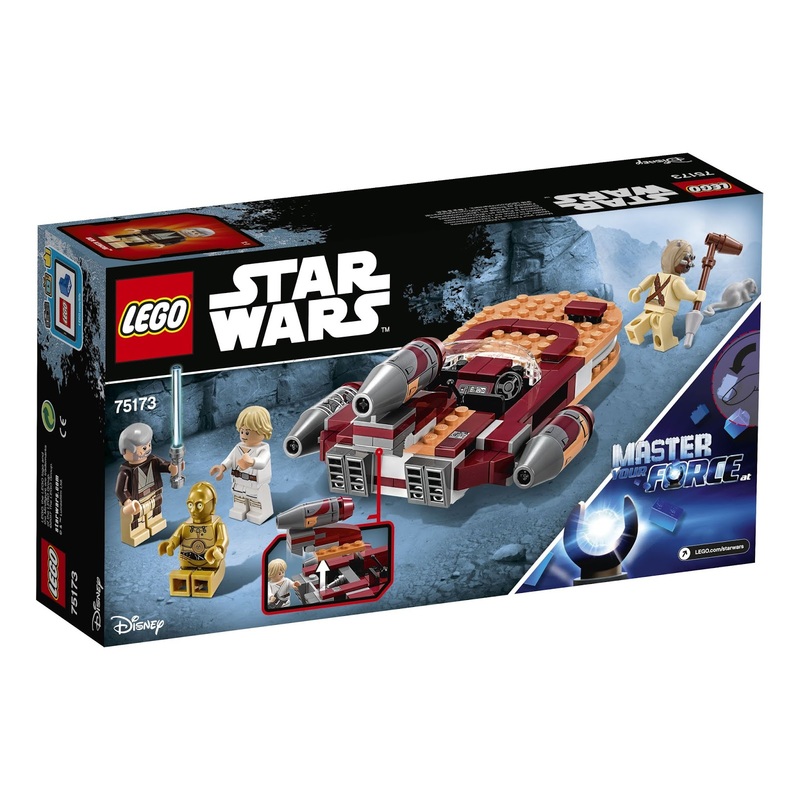 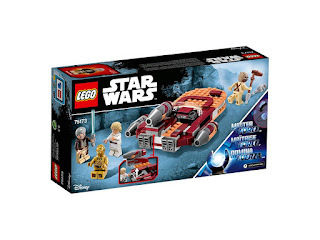 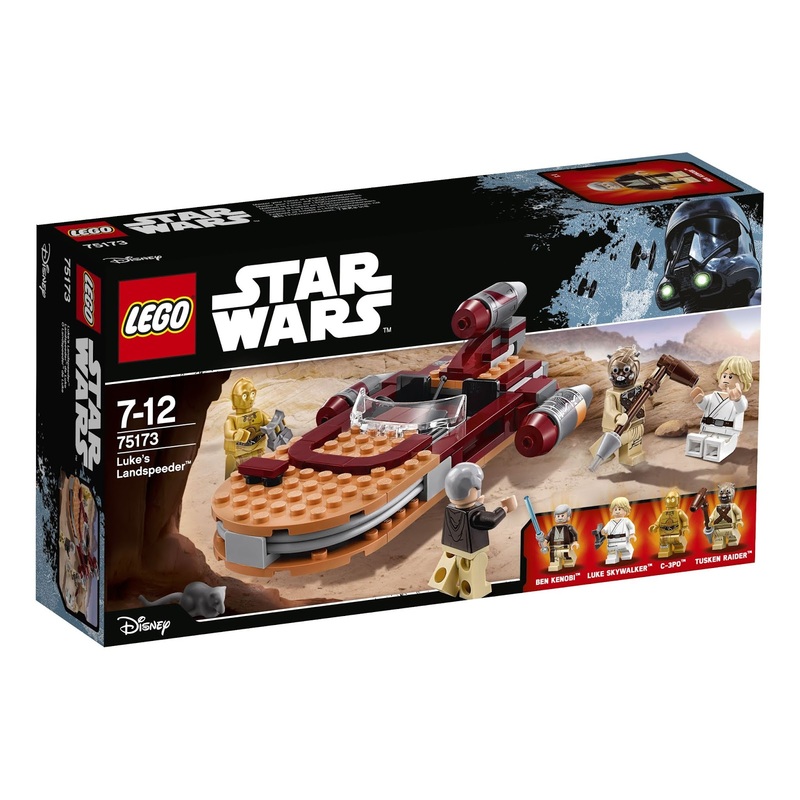 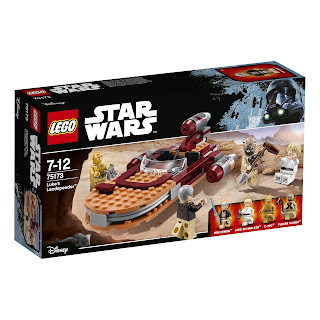 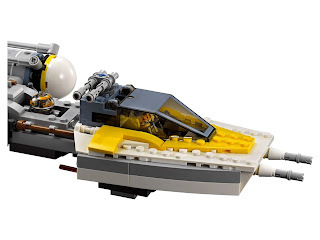 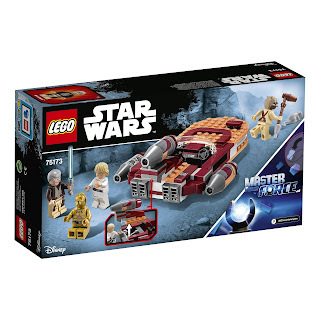 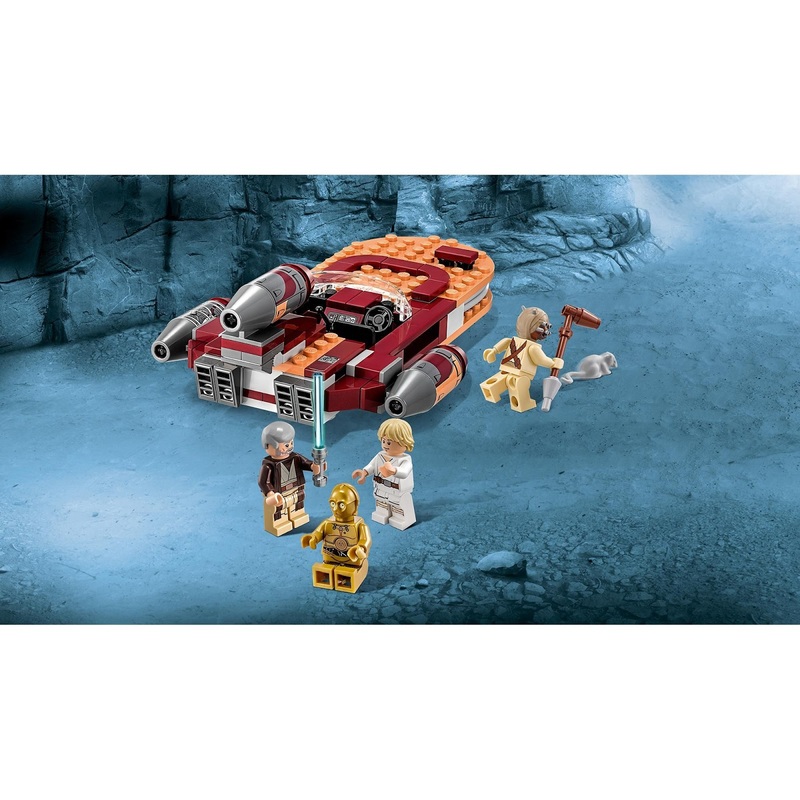 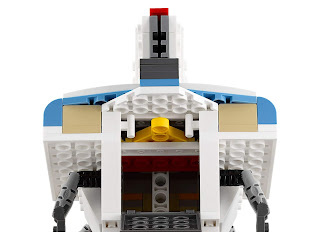 the landspeeder has an openable trunk, a 2 minifigs open cockpit and 3 engines. 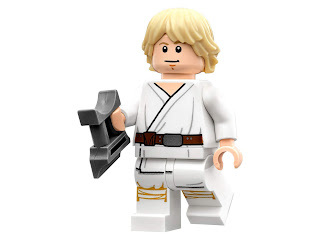 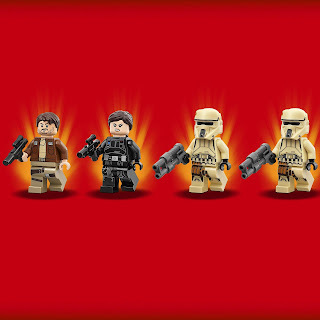 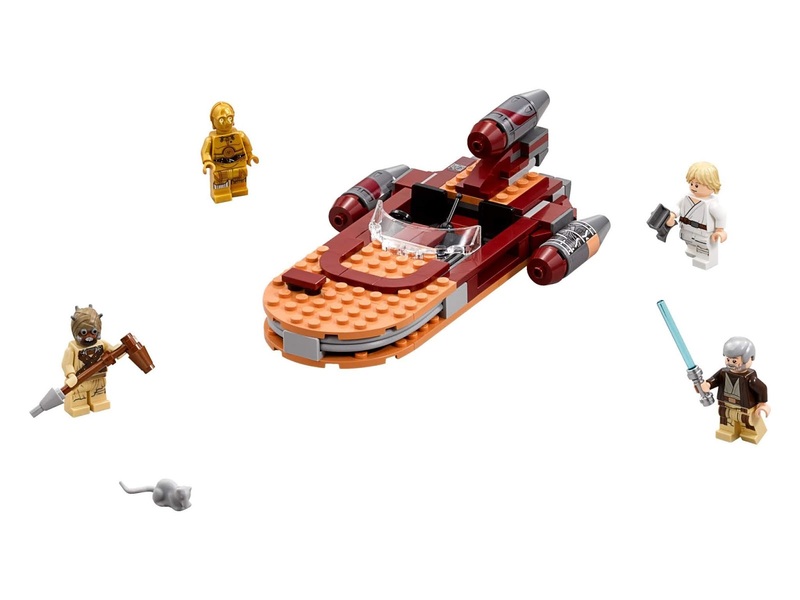 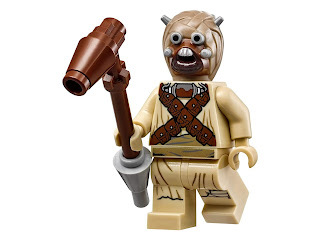 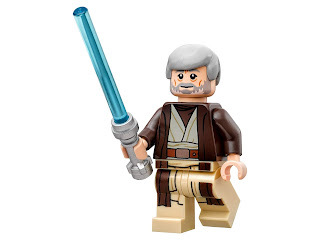 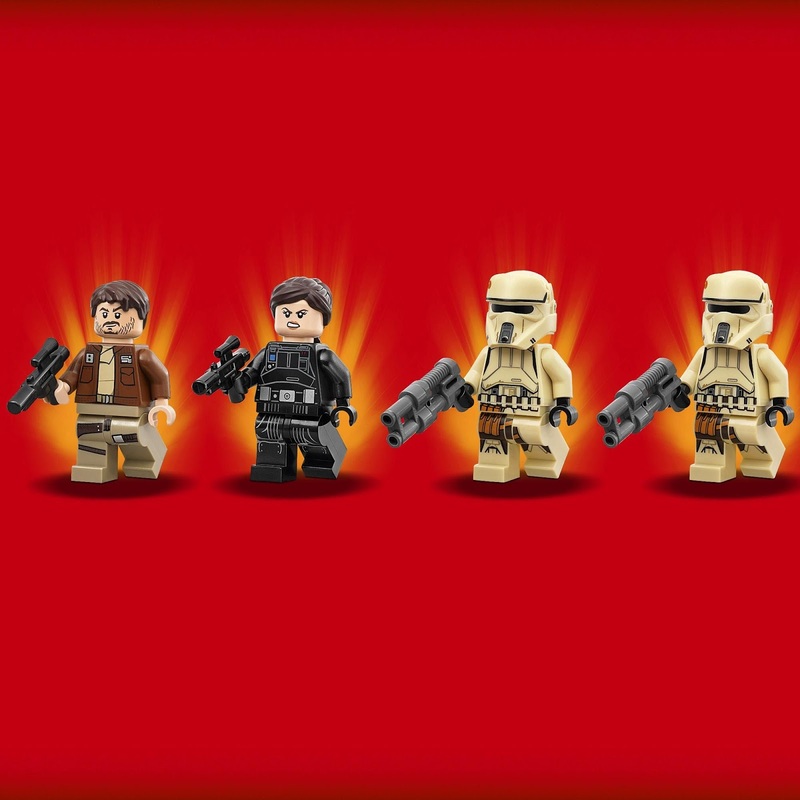 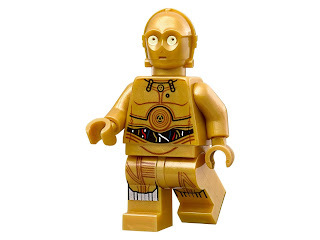 minifigs included a luke skywalker minifig, a ben kenobi minifig, a c3po minifig and a tusken raider minifig. 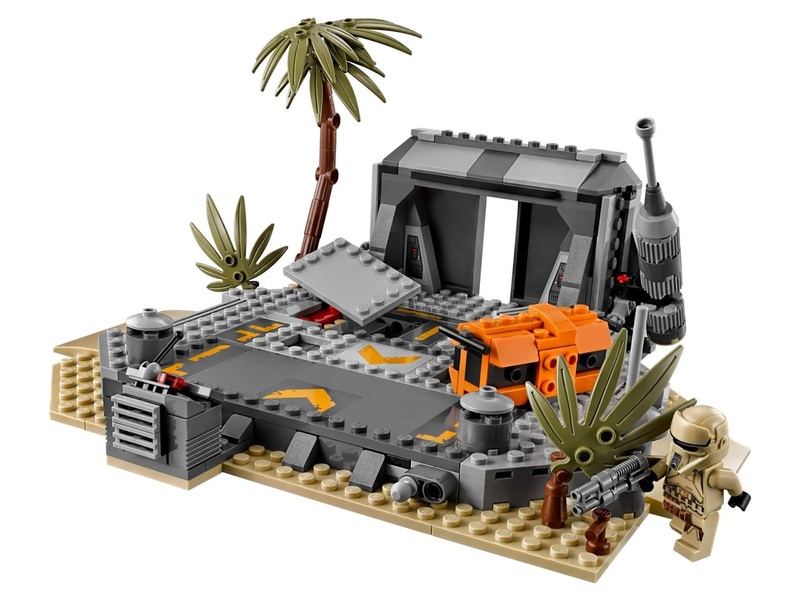 come with a battle on scarif scene. 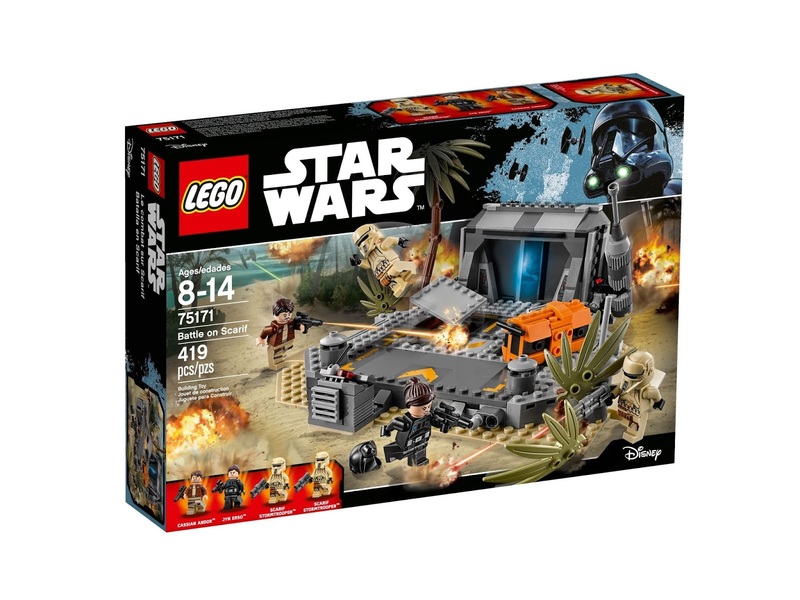 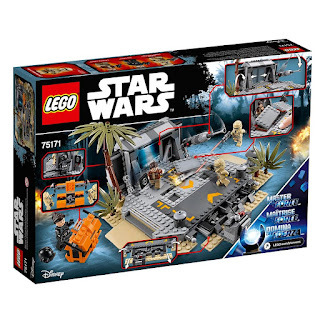 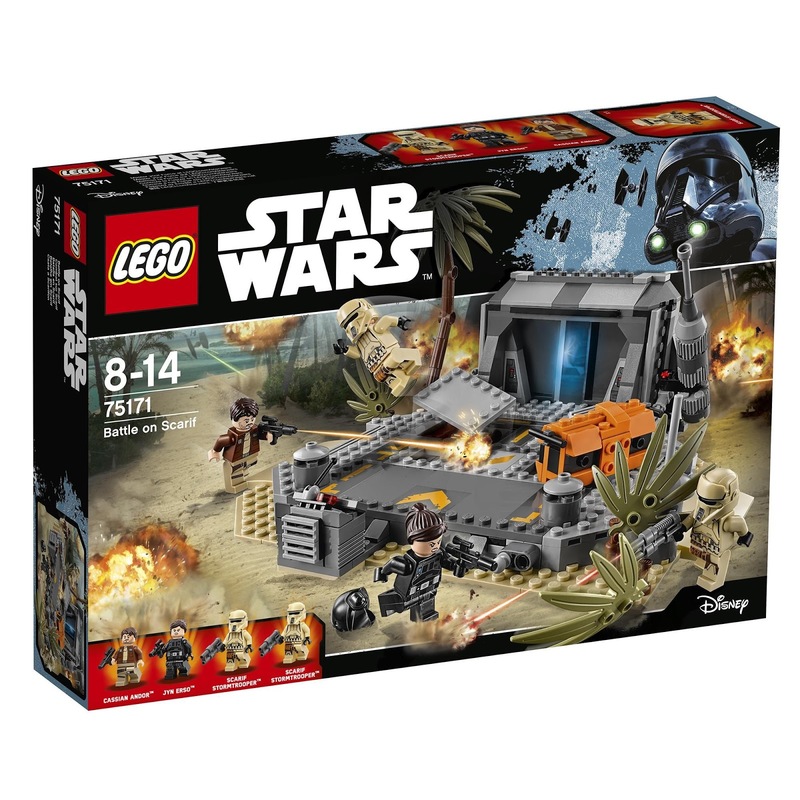 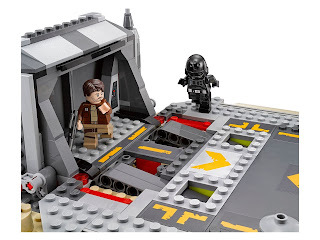 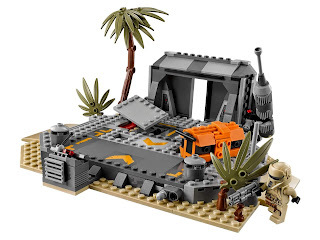 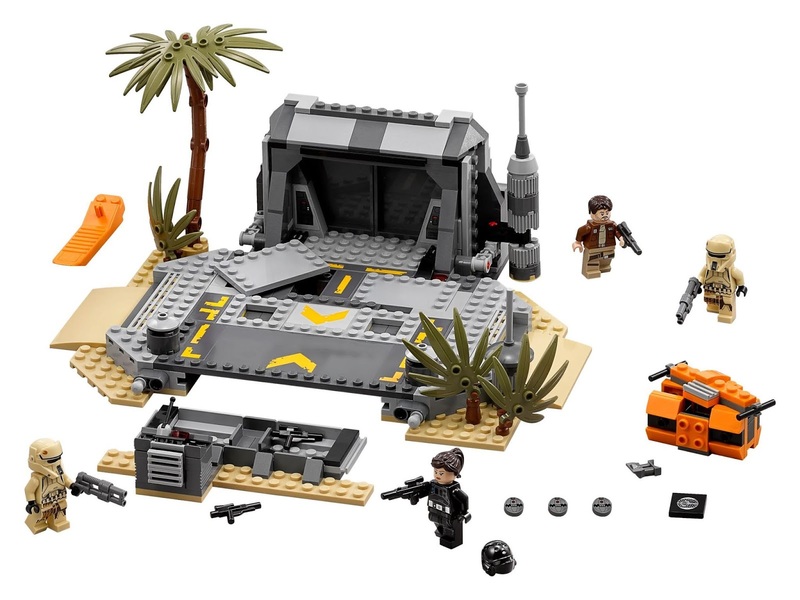 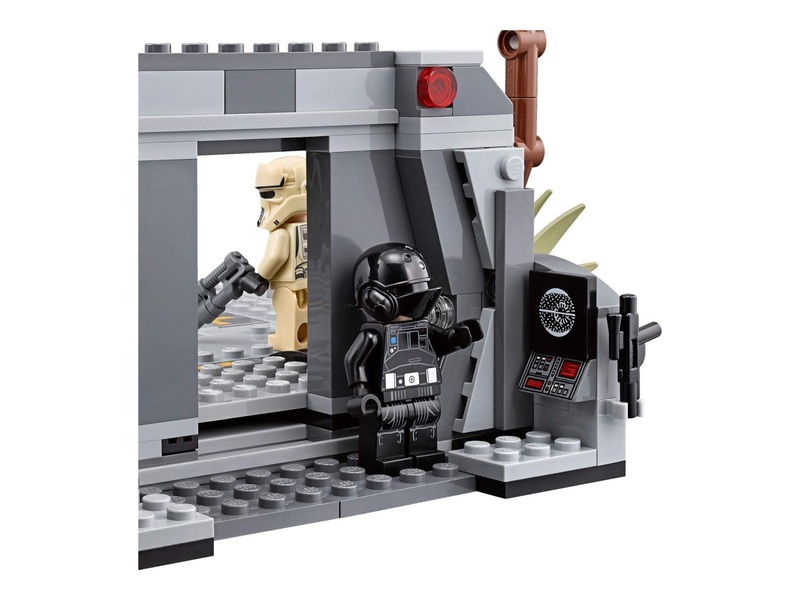 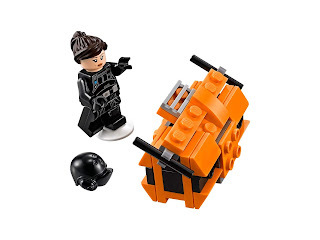 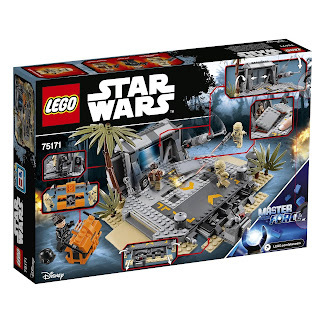 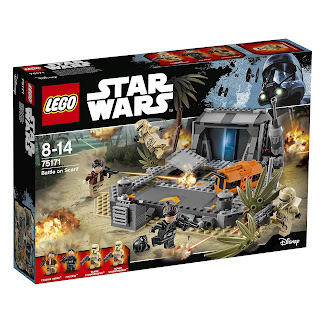 the scene has a hidden weapons stash, explodable floor panels, slidable lockable bunker doors, a control panel, an orange crate and the secret death star plans. 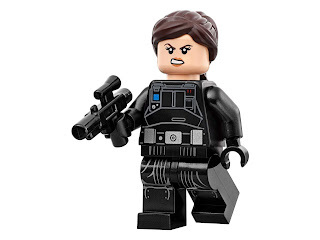 minifigs included a jyn erso minifig, a cassian andor minifig and 2 scarif stormtrooper minifigs. 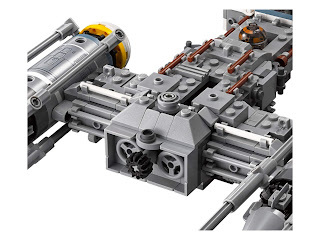 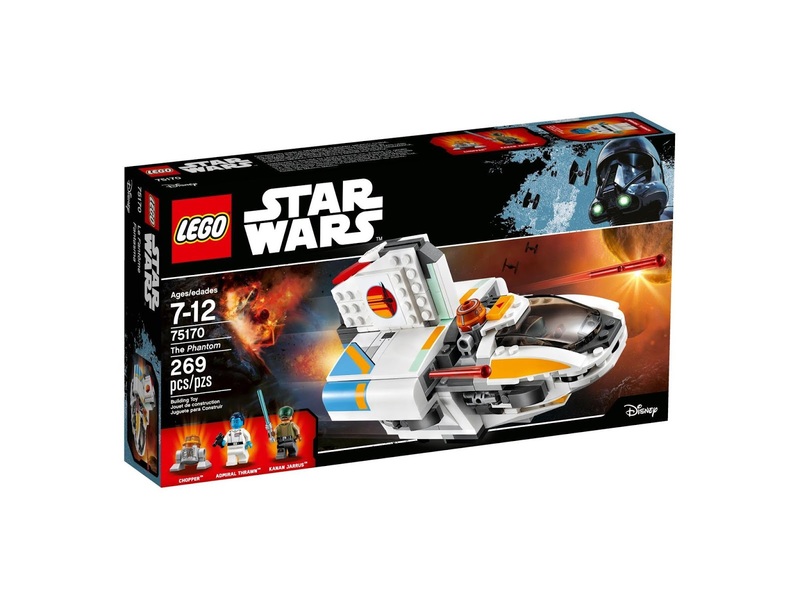 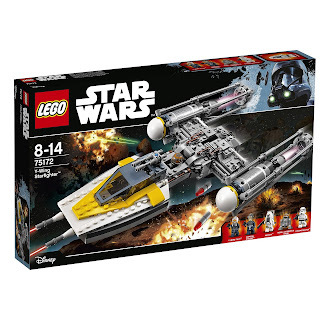 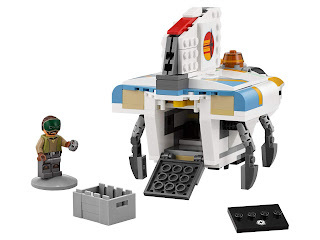 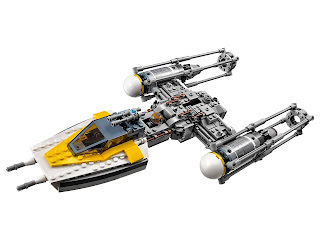 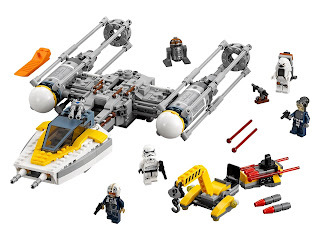 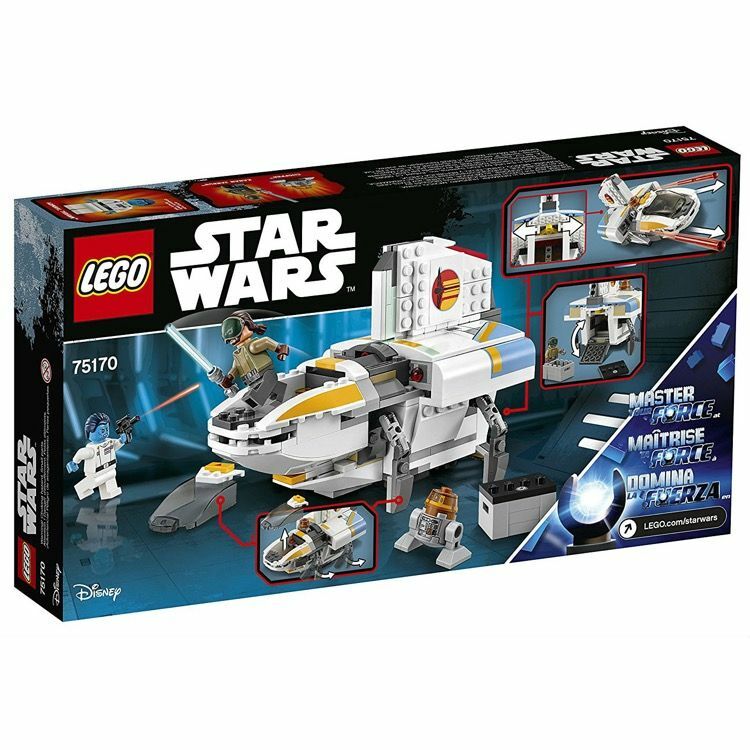 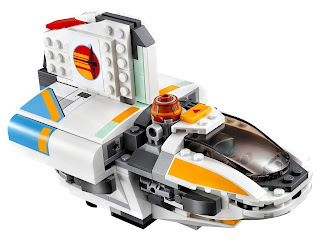 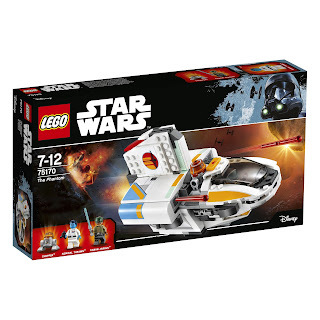 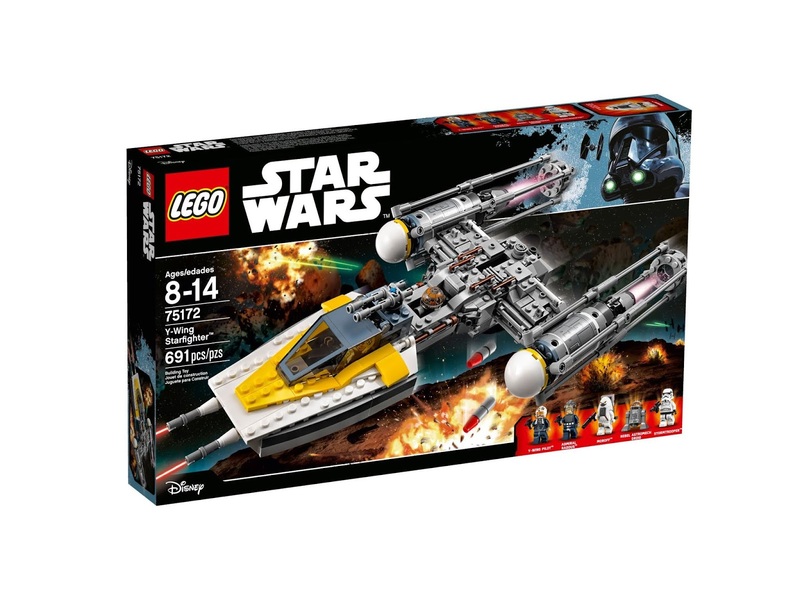 the phantom has retractable landing gear, a detachable and openable minifig cockpit, dual spring loaded shooters, an openable rear compartment with a storage box space and a chopper droid space. 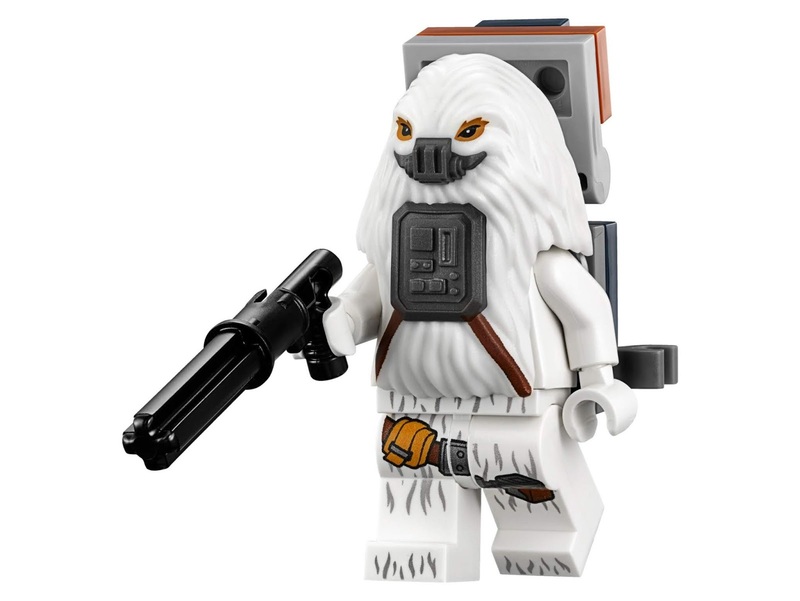 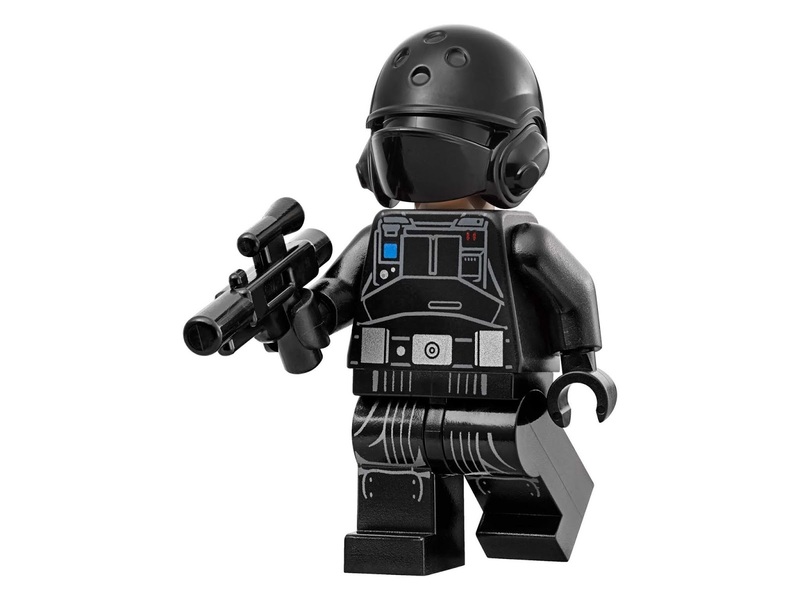 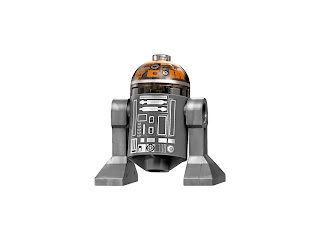 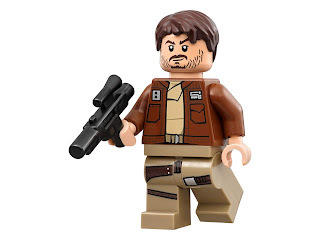 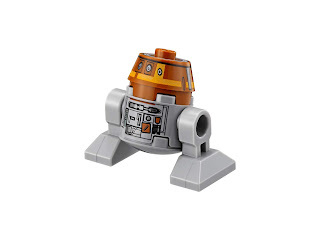 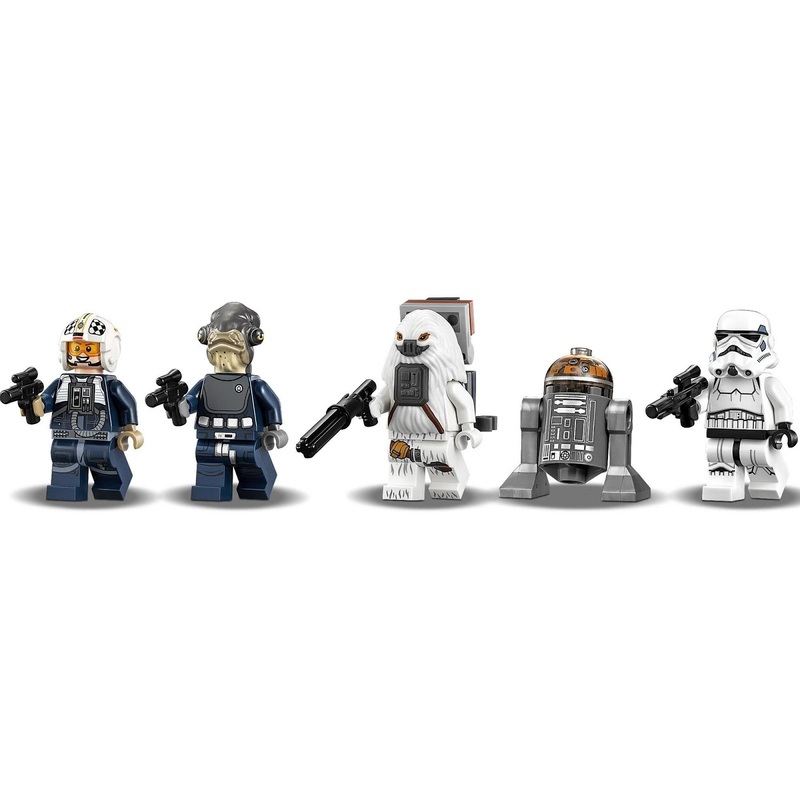 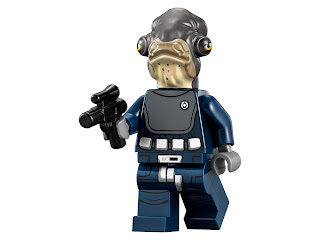 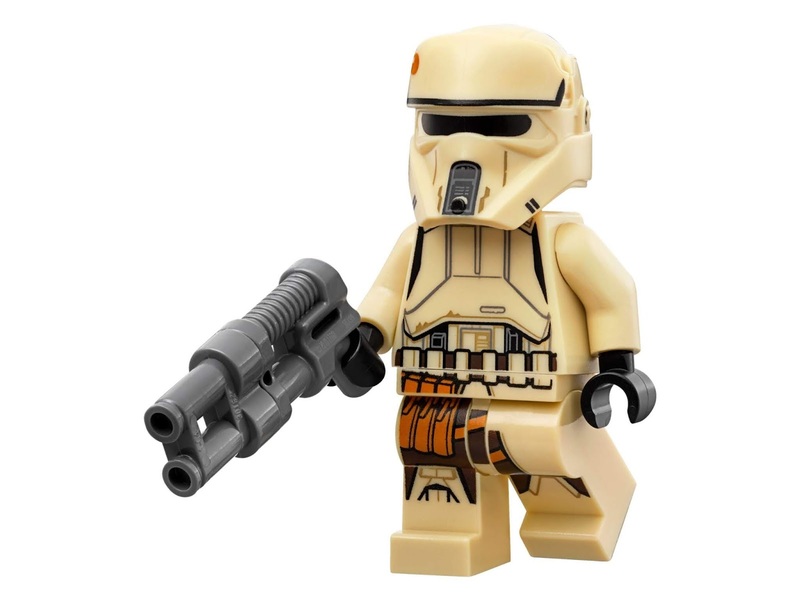 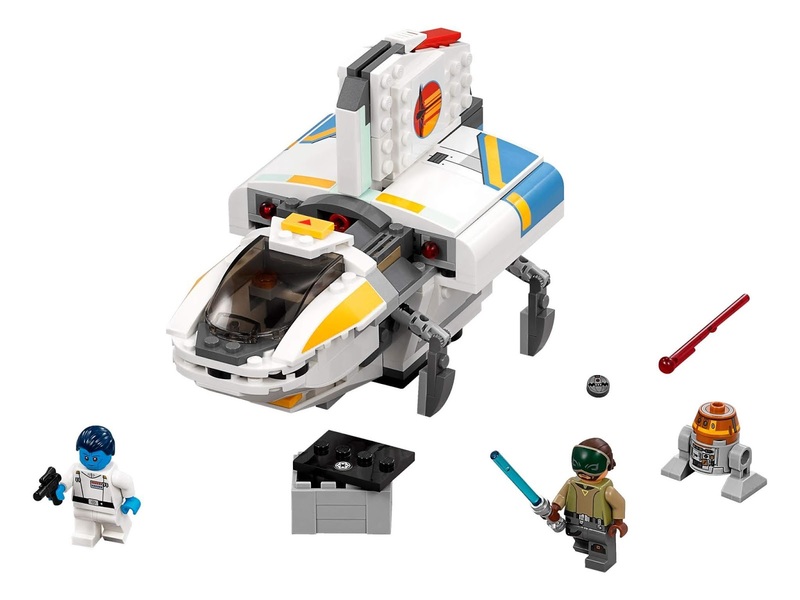 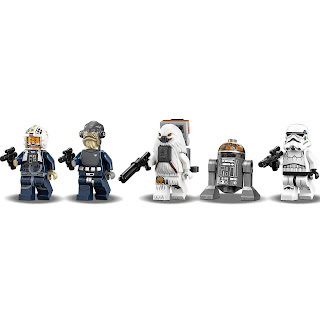 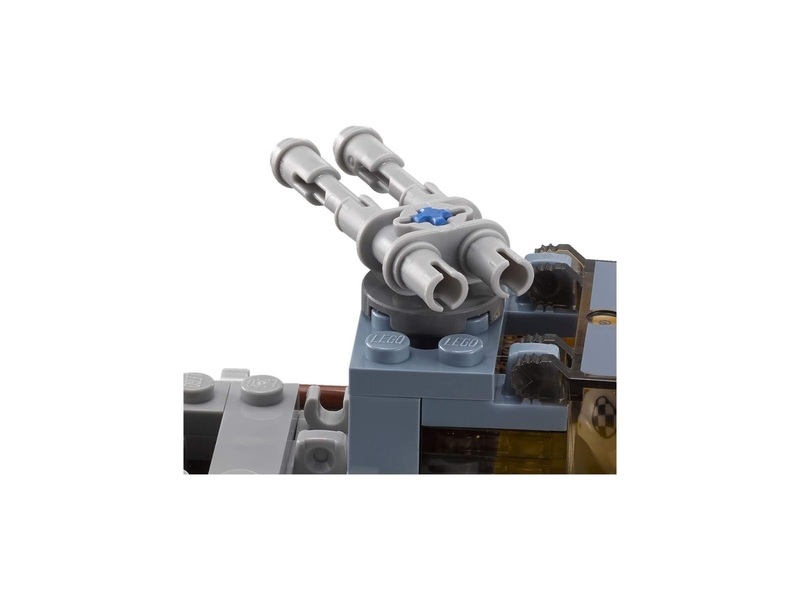 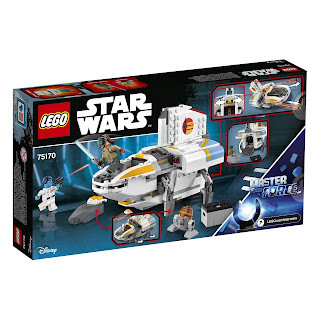 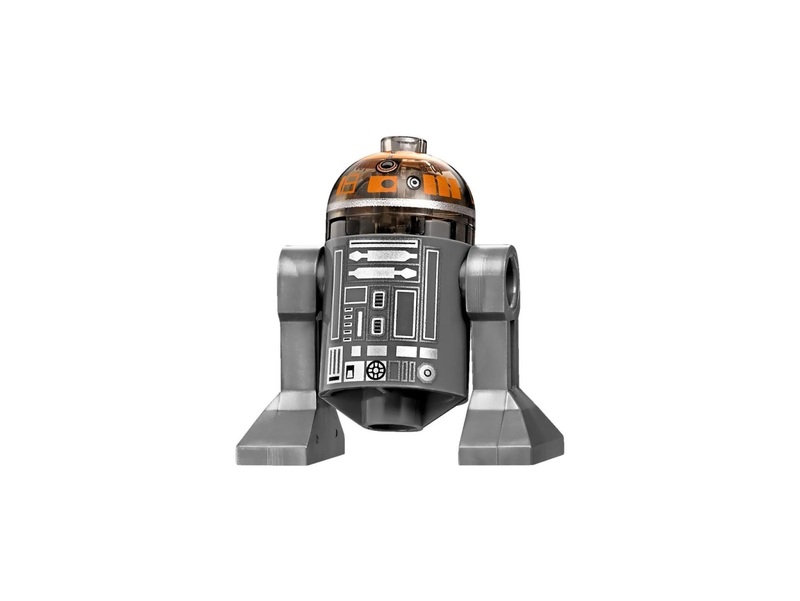 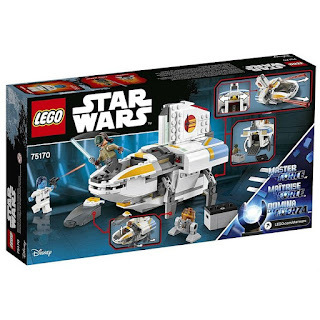 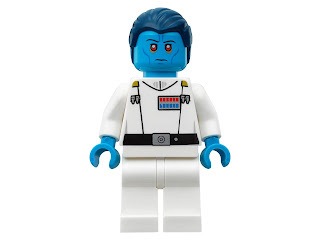 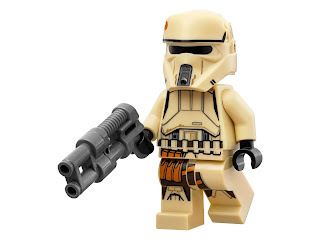 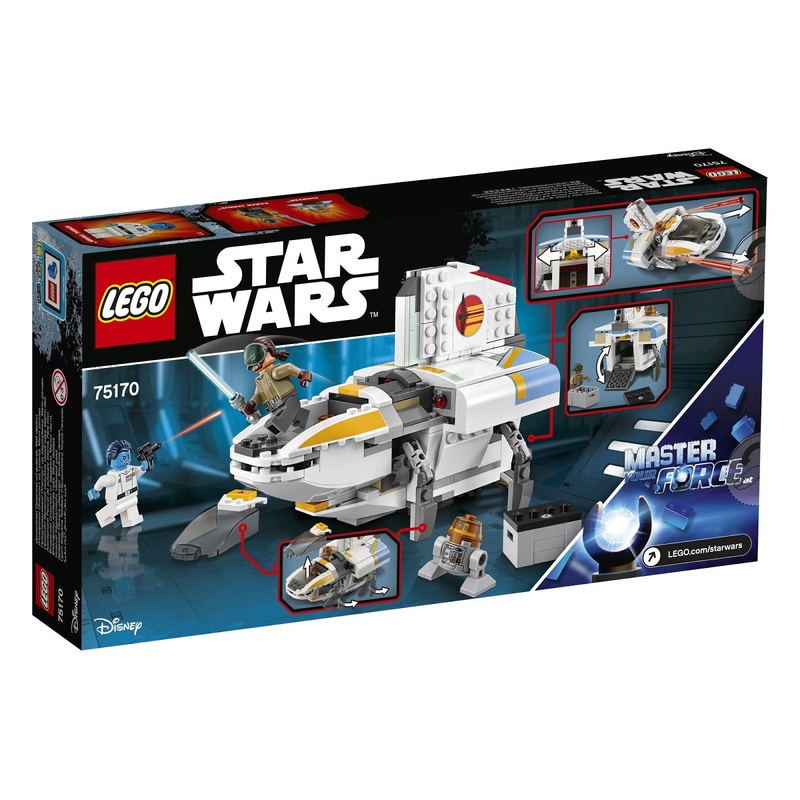 minifigs included a kanan minifig, an admiral thrawn minifig and a chopper droid minifig.